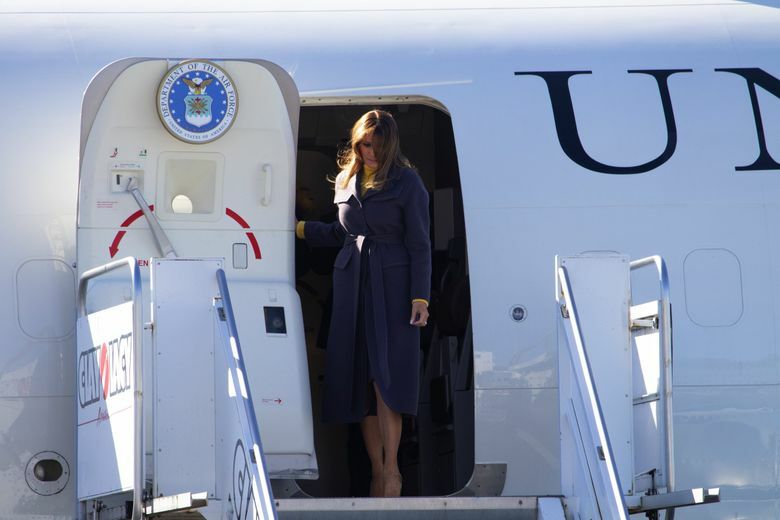 The visit is part of first lady Melania Trump’s two-day, three-state swing to promote her “Be Best” intitiative on child well-being, online safety, and the opioid crisis. 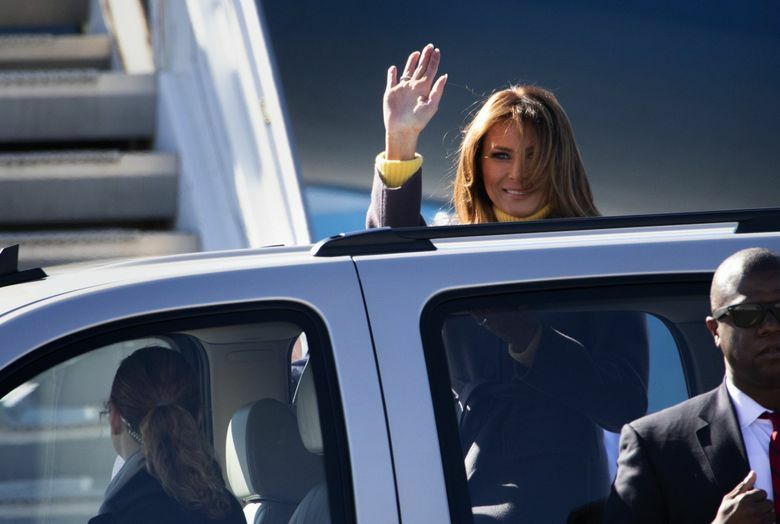 The Redmond software giant was the second stop in a three-city tour to promote the first lady’s “Be Best” initiative, which is calling attention to child well-being, online safety and anti-bullying efforts and opioid abuse. The tour began Monday morning with a stop at a Tulsa, Oklahoma, charter school and is scheduled to conclude Tuesday in Las Vegas with a town hall on the opioid epidemic. At Microsoft, the first lady saw demonstrations of technologies that make gaming and other online experiences safer for children — in part by giving parents more control over what their children do and see online. “I feel that sometimes, children know more than their parents” when it comes to social media, gaming social media and other online experiences, Trump said after the demonstrations during a brief conversation with Microsoft President Brad Smith. 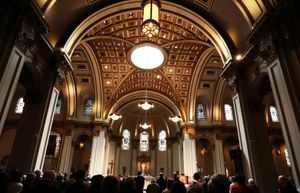 The visit follows discussions last summer between the first lady and company executives at their Washington D.C. offices shortly after she launched her Be Best initiative, Smith said. Microsoft has extensive initiatives aimed at online safety for kids, including parental tools and public education and awareness campaigns, as well as adaptive technology for use by kids with disabilities. Although the first lady’s arrival at Boeing Field was delayed by nearly an hour by technical issues back in Tulsa, her carefully orchestrated visit to Microsoft went smoothly. 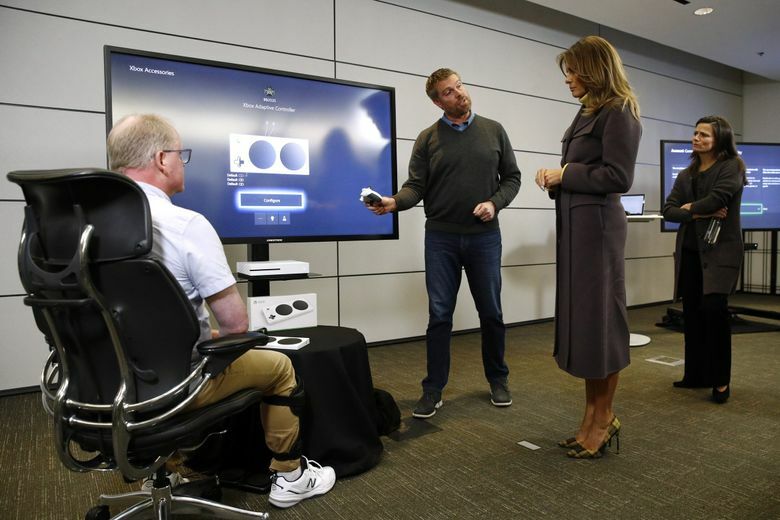 Trump’s motorcade arrived at Microsoft’s Building 33 at around 2:15 p.m., and the first lady was ushered directly into a large conference room with three technology demonstration stations. With a large pool of national and local media in the background, Dave McCarthy, vice president and head of Xbox engineering, showed the first lady how the company’s flagship gaming console allows parents to monitor and control virtually every element of their children’s online experience — from the websites they visit to the time they spend on any particular game. At a second demo, the first lady learned how Xbox products have been made accessible to consumers with disabilities. 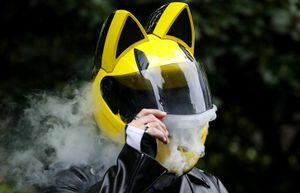 At a third demonstration, Jacqueline Beauchere, Microsoft’s chief online safety officer, outlined initiatives to encourage children and teens to adopt safer online habits. Afterward, Trump joined Smith and other company executives for a brief discussion about the next steps in improving accessibility and online safety. A key issue for Trump: educating parents on the tools that already are available for monitoring their children’s online activities. The “Be Best” tour marks Trump’s first solo domestic overnight trip in her official capacity as first lady. Reporters weren’t permitted to ask questions during the demonstration or the discussion. Afterward, however, Smith made himself briefly available to reporters, several of whom pressed the Microsoft executive on the message that the first lady’s visit to Microsoft sends, especially given her husband’s controversial social media presence.